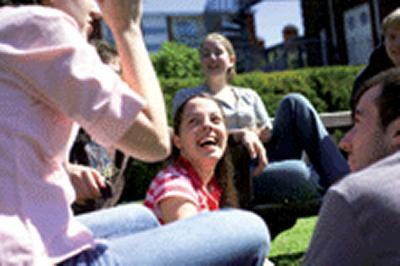 Researchers from the ESRC Centre for Population Change (CPC) at the University of Southampton have identified key 'turning-points' in young adults' lives which influence whether or not they return to the parental home. Dr Juliet Stone, Professor Ann Berrington and Professor Jane Falkingham have found that factors such as leaving full-time education, unemployment, or a relationship break-up, are highly significant in whether young people go back to living with their parents. The CPC team used the long-running British Household Panel Survey (BHPS) to examine how major changes in young adults’ lives contribute to their decision to ‘return’ to the ‘safety-net’ of the parental home. The BHPS began in 1991 and was aimed at understanding social and economic change at the individual and household level. As part of this survey, 5,000 young men and women in their twenties and thirties were interviewed every year until 2008 – data which the Southampton team have now examined. The results of the new study by the CPC indicate that overall, the act of returning to the parental home is in fact relatively uncommon, with an average of only 2 per cent of young adults ‘returning’ during the 17 years to 2008. The findings show that overall, there has been little change in the likelihood of returning over time, apart from among women in their early twenties. The researchers suggest that this reflects the rising number of young women going to university, who then return home after completing their studies. Returning is also much more common when young adults are in their early twenties and remains a relatively rare event once they reach their thirties. The investigators go on to show, however, that returning home is prevalent for certain subgroups of young adults, even when they reach their early thirties. for young adults completing full-time education, it has become commonplace to return home. Around half of those leaving education in their early twenties returned home. relationship break-ups are another main reason that people return home in young adulthood. Among men and women who experienced a break-up in their early twenties, around a third returned home. men remain more likely to be living in the parental home than women, although the gender gap is narrowing. The researchers also report that although relationship break-ups have been identified as a major factor influencing young people’s decision to ‘return’, this may depend on the young person’s gender and whether or not they have dependent children. They speculate that after a break-up, mothers and fathers may find support from different sources, with young lone mothers being more able to rely on the welfare state, and young, single, non-resident fathers requiring more support from their own parent(s). However, more generally, the report authors suggest that the recent trend to form relationships later in life and the growing popularity of higher education has led to women now showing a greater similarity to men in their destinations on leaving home and the likelihood of returning to the parental home. Further information on the project can be found on the CPC website.